I thought I'd try something new this week by posting a few of my favorite things this week. 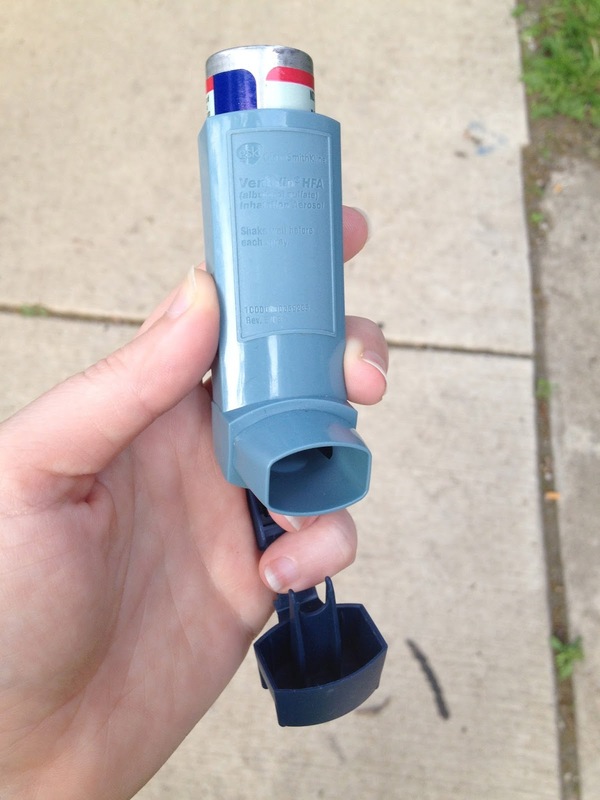 My inhaler, aka the sweet breath of life. I haven't needed it as much these last couple of weeks, but every now and then I am reminded that my lungs don't always work as well as they should. When this happens, I'm glad that I have my inhaler. Ready, Wait, Wait, Go! with Peter Sagal. I'm a huge NPR nerd, so when I had the chance to sign up for a 3 mile fun run led by Peter Sagal, I couldn't say no. It was a gorgeous night for run through the West Loop on Monday, and as an added bonus, I got to meet Peter and talk about running and current events. And there was beer and pizza after the run...so...yeah, it was a prefect great way to start the week. It is race weekend! I always get excited in the days leading up to a race. 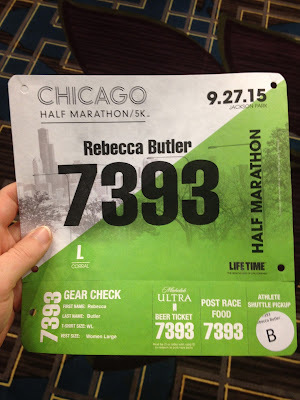 I'm running the Chicago Half Marathon on Sunday. I don't know if I'm ready, but I'm excited and hoping for the best. My family! I don't get to see my family very often, but they are visiting Chicago this weekend, so I have a chance to show them around the city. Bonus: the brought me gifts (who doesn't love presents? ), including some homegrown vegetables from my mother's garden. And last, but certainly not least, Hannah. I'm pretty sure that she is the best cat in the world. 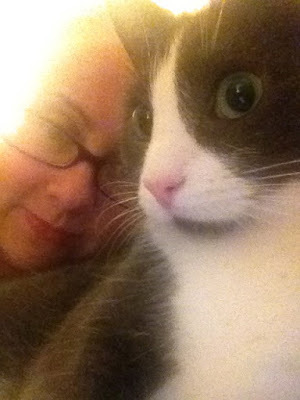 You can make fun of me for being a crazy cat lady, but I love this fur ball. She makes me a happier person and is always there for me when I need her.